With prices from only £7 per month, you can pay using your local currency. Other currencies on offer: US $11; Euro €9; Canadian $12; Australian $12. Here is a summary of the website template service for ADI driving instructors provided at Quick on the Net Limited. At QuickontheNet.com, we provide international school of motoring web templates, with pre-designed schemes for the UK, Ireland, Australia and New Zealand and they can easily be adapted for the USA and Canada. Our website templates are bursting at the seams with cool features. In all of our websites, you can embed payment buttons, a PayPal shopping cart, videos, music, Flash slideshows, Google Maps, Google click advertising (AdSense), and much more. With web hosting included as part of the service, if you need a serious business website for your driving school, we have an ultra-fast solution for you. This is a ready-hosted solution and you get web hosting without even thinking about it. Just log in, make your changes and the results are served up on the internet immediately. There is no FTP, no BS and no fuss. It's quick and easy and no technical skills are required. In fact, almost all of our customers have no previous experience in creating a website. Our site builder is simple to use and the results are immediate. If you can use either Gmail, Hotmail, Yahoo or Facebook, then you already have the basic skills required to create a website with us. Unlike other template-driven web solutions which force you into a particular design scheme whether you like it or not, we have done everything we can to give you as much creative freedom as possible, so that you really can create your own website design. To help you get started, we offer click-and-buy web template designs. However, if you have your own business logo and you already know how you want your new site to look, then simply use the website toolkit to customise the appearance of the web pages to suit your needs. You can also customise the content and pages to meet your requirements. For example, if you specialise in intensive driving courses or tuition for teenagers or skills development for advanced drivers, simply log in and then add the text and pictures to promote your services. Our customer websites can enjoy excellent performance on all of the major search engines, including Google, Bing (MSN / Live) and Yahoo. If you're serious about getting good traffic from search engines, buy the 'own domain' upgrade and we can share important SEO tips with you. We support Google Webmaster Tools (Google Verification), Google Analytics (Website Verification) and Alexa (Site Verification). Add a shopping cart (shopping basket/trolley) and payment buttons to your web pages and then you can generate a new income stream for your driver training business. 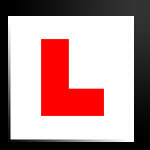 You can take PayPal online payments for driving lessons and gift voucher sales at your motoring business. If you have questions, please click here to contact us about your website and what you require. This is a quick and easy system for you to build a driving school website and upload your own car photos in minutes. Use one of our car logos, or add your own logo. You can change the style and branding of the website to suit your needs. You get an instant free trial and no sign-up is necessary. This website service is brough to you by QUICK ON THE NET and you can create your own driving training website today at quickonthenet.com.